(Feb. 11, 2013) -- The UTSA University Health Professions Office will host physicians representing the Tour for Diversity in Medicine from 9 a.m. to 4 p.m., Tuesday, Feb. 12 in the University Center Ballroom (1.104) on the Main Campus. The tour is designed to empower minority students with the advice and resources they need to pursue careers in medicine and dentistry. Supported by a grant from the Aetna Foundation, the free, all-day workshop is open to all undergraduate and post-baccalaureate students. Workshop sessions will cover the medical school application process, admissions tests, financial aid, interviewing skills and an overview of health disparities. Participants will have the opportunity to interact with physicians, dentists and medical students and hear their stories about how they overcame obstacles to pursue careers in medicine or dentistry. Health disparities extend beyond access to care and insurance; they include the quality of patient care, which is impacted by the lack of diversity in the health care profession. Although African-Americans, Hispanics and Native Americans comprise more than 26 percent of the U.S. population, they only represent only 6 percent of practicing physicians and 5 percent of dentists, according to the Association of American Medical Colleges. Additionally, African-American and Hispanic students comprised only 15 percent of all U.S. medical school applicants in 2011. Yet, research shows that patients who receive care from physicians of the same race are more satisfied with their medical visits and more engaged in their treatment. The Tour for Diversity in Medicine is a grassroots volunteer initiative that was started by two young physicians looking to make a change. 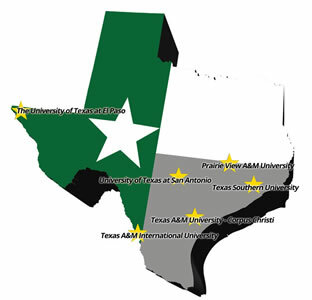 Members will travel more than 1,000 miles to visit six universities across Texas. To register for the UTSA workshop, visit the Tour for Diversity in Medicine website.